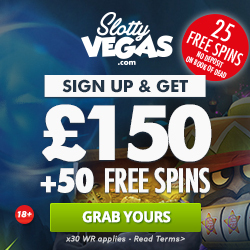 You love live casino action but don’t think you can get the same experience online? If so, you might want to pay a visit to a gaming venue which hosts Extreme live games and give them a go. With several creative executions of the casino classics in their portfolio, this young company has quickly managed to become a serious competitor to the more experienced operators offering to replicate land-based casino experience in our homes. Extreme Live Gaming was founded in 2013, and with the help of the Novomatic Group which bought them one year later, their games can now be found at many of the more reputable online casinos out there. Knowing what they have accomplished in such a short period of time, I for one am genuinely looking forward to seeing what comes next. But before we start imagining the future, let’s talk about what this developer has provided us with so far. Extreme Live Blackjack, Baccarat and Roulette are streamed directly from a land based casino, allowing you to place bets online at the same time as players inside the casino do, which pretty much brings you as close as possible to being in a ‘real’ gambling establishment. Extreme’s Classic Roulette is a European single zero Roulette version with a low house edge of 2.7% and statistics such as Hot/Cold numbers. As in other live games, you’ll be able to chat with the dealer and with the other players occupying the same table. Golden Ball Roulette gives away cash prizes to players who have placed the highest total bet for 20 consecutive spins. Another special feature is a jackpot which is awarded to top players at regular intervals. The game is streamed real time from a London studio and allows you to view the table as if you were seated at it, or enjoy a close-up view of the wheel and the ball spinning and bouncing around. Reel Roulette is an interesting take on the classic game, with the addition of symbol-driven side bets. The varieties use symbols featured in several Novomatic slots, namely Book of Ra, Lucky Lady’s Charm, Dolphin’s Pearl and Sizzling Hot Deluxe. 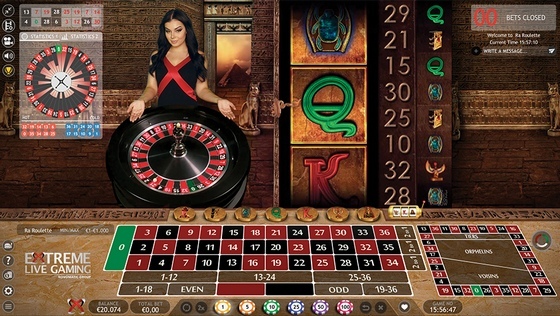 The first, for example, displays a 1-reel slot on the right side of the screen, featuring 7 symbols from the Book of Ra video slot. Each symbol comes with a different chance of being hit and odds ranging from 1:1 to 80:1. Club Roulette enhances the social element of the game by offering players to create an online identity with the help of an avatar, engage with each other, and view their bets on the Roulette table in real time. Auto Roulette is Extreme’s automated version of the game, developed for players who prefer fast-pace gameplay and are not that interested in chatting while they play. Responding to market demands, Extreme has also launched German Roulette hosted by native speaking dealers. Extreme Blackjack tables can sit up to 7 players and allow an unlimited number of other gamers to bet behind. The game also offer side bets such as Perfect Pair, paying if your first 2 cards form a Mixed Pair, Colour Pair or Suited Pair, and 21+3 side bet which rewards 5 different outcomes, the most generous one being Suited Trips which pay 100:1. Additionally to the regular version of the game, you can also join a VIP Blackjack table with higher betting limits. The developer further offers several Live Baccarat variants, including Classic, VIP and Super 6. The latter comes with a Super 6 side bet which wins when the player or banker end the game with a hand total of 6. It also offers you to place other side bets, such as Big/Small (the first requiring that the number of cards between the Player and Banker is 4, and the second that it’s 5 or 6), Player Pair and Banker Pair. Big Road, Small Road, Big Eye Roads and Cockroach Road are the four roadmaps which follow history and trends, allowing you to make more knowledgeable betting decisions. One of the things you’re sure to appreciate is that the games load fast. I mean, is there anything more irritating than having to wait for ages when you’re super-excited about starting to play? Wait, there is. It’s when the video keeps freezing and finally freaks you out so much that you, at best, terminate the game, and at worst bash your laptop against the wall. Well, this will not happen where Extreme games are concerned. The quality of both video and audio is impeccable, and an enjoyable experience further enabled by a user-friendly interface. Same applies when you launch the games on an iPhone, iPad or an Android smartphone or tablet, as they are fully optimised for portable devices and perform just as well on smaller screens. Screen orientation allows you to play in both portrait and landscape mode. Licenses issued by two highly reputable regulatory bodies, the Malta Gaming Authority and the UK Gambling Commission, make sure there’s not going to be any funny business while you play, bet, and collect your winnings. The developer also displays a Quinel and eCogra seal of approval. While you’re probably well familiar with the latter, I’ll just mention that Quinel is one of the leading independent and internationally accredited testing laboratories which specialises in certifying gaming software and systems. Ok, so by this time you’re either convinced or you’re not. Whichever the case, I’d suggest you give some of the Extreme games a try. You can do that in Leo Vegas which offers Golden Ball, Ra Roulette, Auto VIP, Deluxe and La Partage Roulette, plus Live Baccarat. 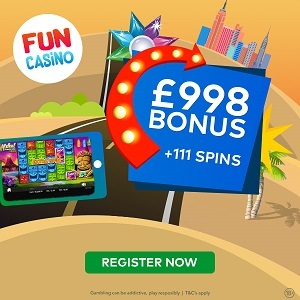 At Mr Green you can play Classic Roulette Deluxe with betting limits of £1 to £10,000, all four Roulette-Slot hybrids, Golden Ball Roulette, Blackjack and VIP Blackjack. Another good destination is NetBet Casino which hosts several Extreme Roulette, Blackjack and Baccarat Live games.